DANIEL Bowles is keen to cement his place in the Gold Coast side after making his first A-League start in last Sunday's 2-1 loss to Adelaide at Skilled Park. 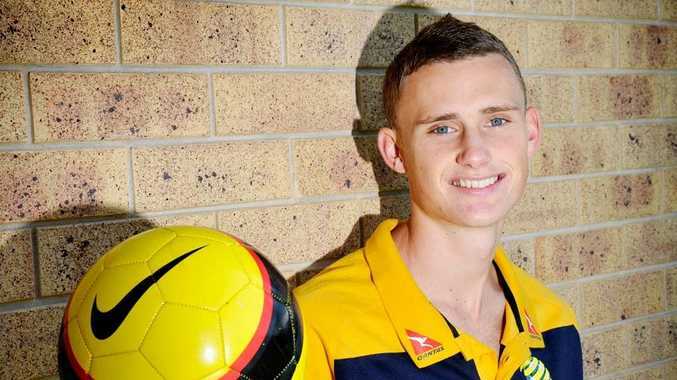 The Toowoomba talent joined Gold Coast at the start of the season and after initially playing in the club's National Youth League squad, he was promoted to the bench of the A-League squad by coach Miron Bleiberg. Bowles impressed and earned a start, which came a week later than expected because he injured an ankle during training. The 20-year-old defender is now out to gain further starts for the A-League cellar dwellers. "I'm really determined to make the most of my time in the side," he said. "I got an opportunity last weekend and if I get another one this week then I want to really put my hand up and stake a claim for a regular place. I want to show the coach what I can do. "It's a big step up from the National Youth League - a lot quicker and more physical. Obviously, you're playing against men and there's so much to learn from being in that environment. "It was a disappointing result of course (against Adelaide), but the boys worked really hard and we had a few opportunities that might have fallen for us on another day. "We had a lot of young players in the team and you can only get experience by playing and learning from each match." Gold Coast takes on sixth-placed Melbourne Heart tomorrow night in Melbourne.